Unlike many industrial and electronic acts, Portuguese one-man project Atila's latest, Body, has very little roughness to it. Smooth and spare, it is filled with sinister meaning. Miguel Béc, the man behind Atila, claims an affinity of his sound with black metal, and there's a little of that, but this is much quieter and sneakier, like the barely-heard footsteps of a monster behind you in a dream. This is the soundtrack of a visit to the Morlocks' cave. That sound is often minimal, a series of echoing but clear drummings to sighing sounds like the wind blowing across bottles or pipes. Deep rumblings occasionally bubble to the surface, underscored by drums that sound like they're stuffed with pillows; sometimes creeping, as in Sentient, other times running in a series of flatly thudded bass drums to scratching static, as in Blood Red. 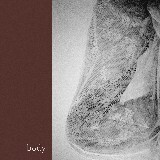 Over all of this is an odd combination of tinkling bells and keyboards, scratching nails, and muted bursts of static. There are no vocals anywhere on the album, but occasionally retro synths take up the melody. Most of the time, however, the melodies are held way down in the mix, repeating broken strains of chords endlessly under the moaning air currents or, in the case of A Taker, A Giver, whining in concert with tinkling keyboards. The percussion is what seizes the initiative, with something sounding like fingers drumming on a pair of water glasses aggressively clattering on Impulse Responser, on top of the fast but odd rhythms of the main drums. For those who prefer a dark, disturbing soundtrack even when the metal's put aside, Body's a good one to check out.